This wine label from Erath Vineyards describes its 1974 Willamette Vallay Gamay. 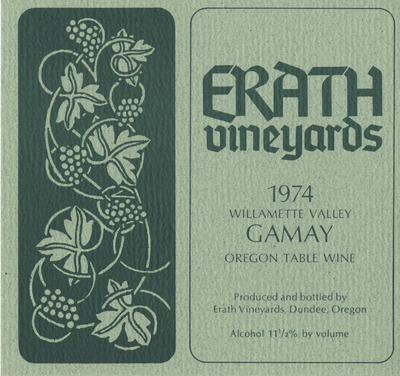 Erath Vineyards, "Erath Vineyards 1974 Willamette Valley Gamay Wine Label" (1974). Erath Winery Photos. Image. Submission 49.